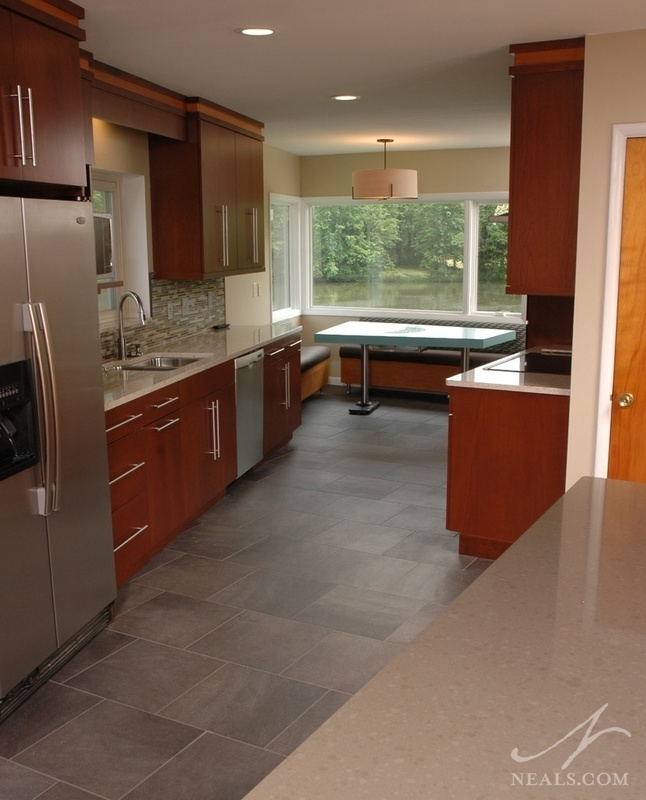 If you are planning to remodel a kitchen, you will need a floor plan design. The design should address the basic functions of a kitchen including food prep, cooking, storage, appliance use and clean up. 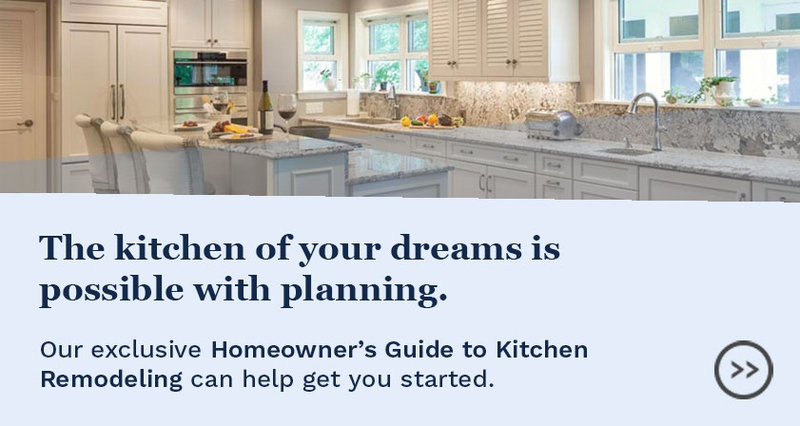 Other areas to consider in your kitchen plan may include space for informal dining, a beverage center, a message center, or a walk-in pantry. As long as people have been using kitchens, fitting these various areas in has been the key challenge. 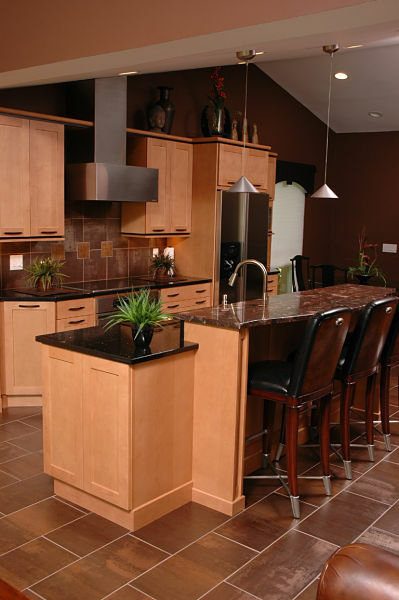 While there are many variations, most kitchen floor plans fall into one of 4 time-tested designs. The L-shaped layout gets its clever name because the main counter and work zones form an L shape. The other two walls in the kitchen may also have additional secondary work areas, storage, or may be open to hallways or other areas of the home. An L-shaped kitchen may also be able to accommodate an island, kitchen table or peninsula, depending on the dimensions of the room. In this layout, three walls of a u-shaped perimeter are used for cabinets and appliances. 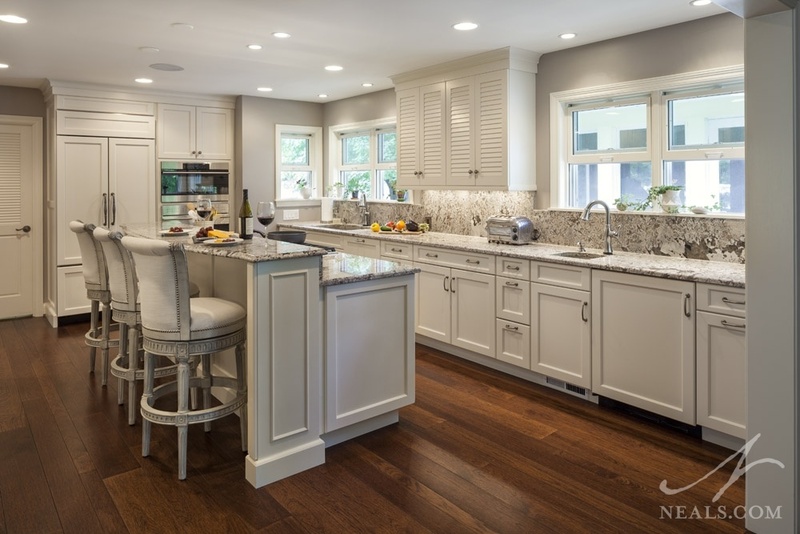 Many U-shaped kitchens feature an island in the center for additional food prep, dining and storage space. 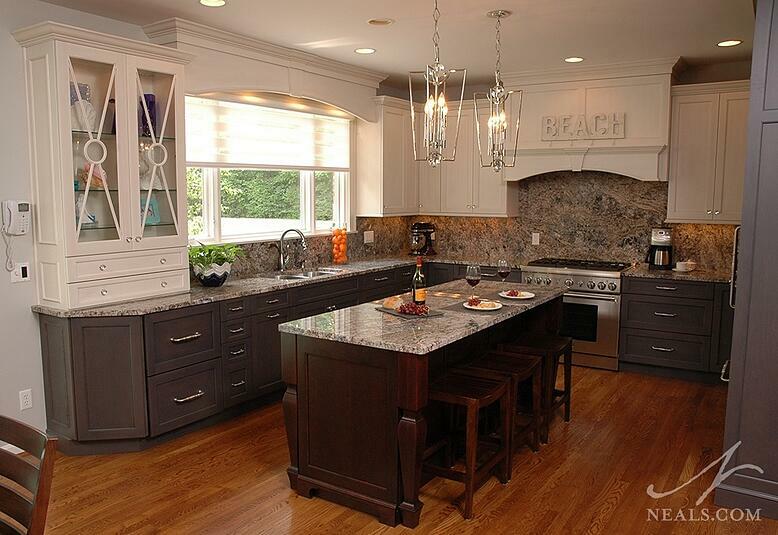 In galley kitchens, cabinets and appliances are installed on two parallel walls separated by an aisle. The width of the aisle should be between 36 and 60 inches. Optimal floor width is 48 inches to allow for door swings, drawer extensions and functional workspace. Galley kitchens typically come about when the kitchen is situated between two rooms, such as a living room and dining room, but smaller apartments or condo kitchens (or kitchenettes) are often galley kitchens to maximize living space in the rest of the unit. To be effective, the work triangle (sink, stove, fridge) should be arranged either centrally across the aisle, or all along one side. 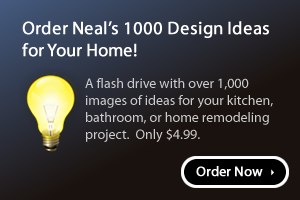 Like a Galley kitchen, the one-wall option may work well for a small home or apartment. Appliance locations are key. They should be placed as close as possible to optimize counter and cabinet space on the wall, but not so close that their practical functions or use are inhibited. Checking the recommended clear space or door swing space for appliances will give you some guidelines. In a Galley or One-Wall kitchen every inch counts. If there is room for an island, not only would that provide a place for storage and working surface, it could also help create a visual barrier between the kitchen and the adjacent spaces. This is particularly helpful for entertaining or for families with small children, when having other people inside the working zones might be dangerous or at the very least inhibiting.